Office Hours: Monday through Friday 8:00 a.m. – 4:00 p.m. Assessments: Any questions concerning your assessment should be directed to the Tax Assessor. The Collector is responsible for the billing and collection of taxes only. Preliminary and Final Taxes: The first half taxes (Preliminary) of any year are based on ½ of the previous years’ taxes. When the bill for the second half taxes (Final) is rendered, the tax rate has been established and the total years’ tax fixed. 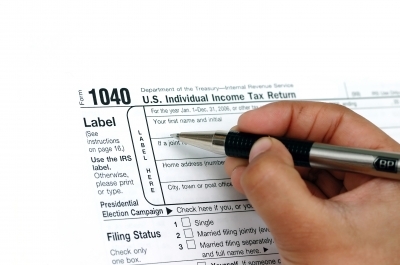 The estimated (Preliminary) amount is deducted and the remainder becomes your second half taxes. N.J.S.A. 54:4-64. Payments received after the 10-day grace period will be considered delinquent and subject to interest. N.J.S.A. 54:4-66. Receipts: Remittances requiring a receipt must be accompanied by the entire tax bill with a self-addressed stamped envelope. Otherwise, detach the appropriate stub and mail with your check, the canceled check will be your receipt. In Person –Bring your tax payment to the Tax Department’s payment window during business hours. Bring your tax bill if you need a receipt. No rolled coins will be accepted. As of May 1, 2010, tax payments made by credit card in-person or on-line will be charged a convenience fee by the third party processing agent. Taxpayers can pay by cash, check or money order. Tax Bill: This bill should be given to the new owner or his paying agent upon sale or exchange of this property. A charge will be imposed for a duplicate tax bill.